SURF THE SKY IN PARADISE! At Hydro FlyBoard we offer Professional, private and personalized lessons on the FlyBoard in the exclusive Marina of Puerto Los Cabos. Where will you Hydro Fly? The Marina of Puerto Los Cabos, is the best scenario for your lesson, with no waves, wind or other water activities around you. If you are looking for privacy, this is it! We focus on your safety and our biggest goal is that you have an everlasting experience! 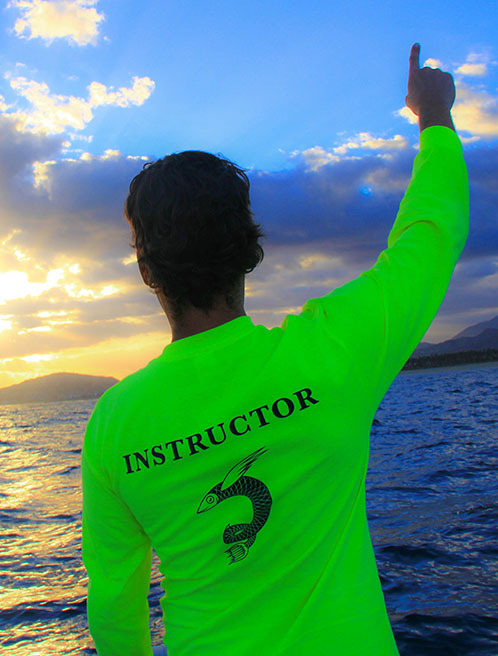 A bilingual trainer certified in the United States will wait for you at the dock “V” and will explain you all the safety features (land instruction) about the Hydro Flight. After that you will be provided with a US coast guard approved life vest and a helmet, the main purpose of the helmet is to protect your ears. Our lessons are smartly divided into stages and each one of them must be completed in order to go on the next one. This takes only 5 - 7 minutes average and after that you will be ready to Hydro Fly. 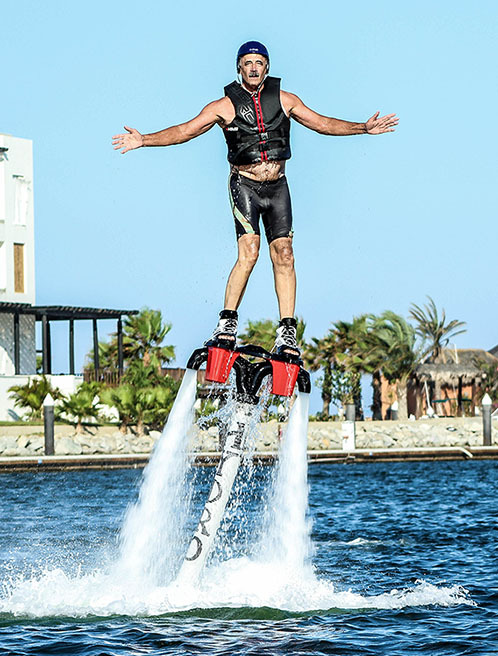 You will be introduced to the FlyBoard and how to take off, turn and depending on your abilities and likes, you can go higher, learn how to do the famous dolphin dives, side dives, board grab, 360’s, back dives and we have even had guests that do back flips clear over the water on their first lesson! FlyBoard is about style. We will teach you how to Hydro Fly with control and elegance. Respecting the ocean and marine life is another important issue that we like to emphasize. We are local, passionated people who love what we do. We have fun and make awesome friends everyday.